Customers to Businesses, Businesses to Each Other, Township to City, City to County, County to State. To promote business, enhance economic and community development and serve as a catalyst for improving the overall quality of life in the Kamas Valley community. Membership is the foundation of our organization. 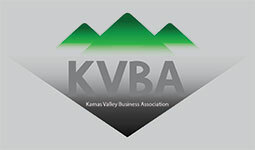 Kamas Valley Business Association works for businesses from Wanship to Woodland. Through relevant educational opportunities, meaningful networking gatherings and honoring the diversity of businesses within our community we are a voice for business. We work for the success of all our members in the Kamas corridor. Share your valid email address and we'll keep you up to date on community happenings and changes to our site. ® Copyright 2019 Kamas Valley Business Association. All Rights Reserved.